You can no longer view customer service operations as the ‘logistics’ of a business. Instead, customer service is now a core business process with all the brands competing on the customer experience front. To get the customer service business advantage, you must hire the best customer service representatives. This can get challenging. Customer service employees have to have some specific characteristics – both personality traits and skills. To help you make great customer service hires, we’ve compiled a list of the 21 key characteristics of customer service employees that rock! 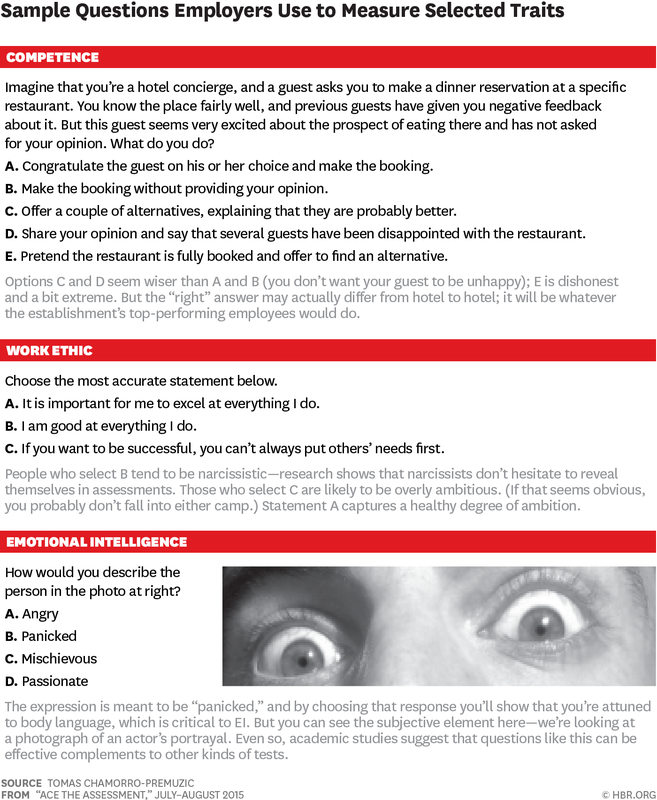 So, the next time you make any customer service hires, make sure you assess them on these qualities. A customer service professional interacts with tens — if not hundreds — of users each day. Each support interaction happens at a different emotional wavelength and frequency. Candidates who have sound emotional intelligence can easily adjust to all the different emotional states of the customers and fine-tune their responses accordingly. Emotionally intelligent candidates are also more empathetic, thoughtful, thorough, and tactful among other things. They’re great at active listening too (which is another very desirable customer service skill). Emotional intelligence is so important (even for general non-service based roles) that the World Economic Forum’s Future of Jobs Report predicts it will be one of the top 10 job skills in 2020. Likewise, in your customer support role context, give your candidates some actual client support phone calls or emails and ask them to analyze what they can ‘feel’ about the customer’s state of mind or mood in context to the contact. There are many times during the course of offering customer service that a company or the service provider is at fault. There are also times when customer service executives have to say “No,” to a client. Sometimes, customers get angry without any fault on the company’s end. For all these times and more, the #1 thing your customer executives need to be in their responses is ‘humble.’ It takes humility to write a clear response — whether it’s admitting a mistake or simply saying that the client’s request can’t be worked out — that empathizes with the customers and doesn’t offend them. You can imagine that if this candidate were to be considered for a customer support role, she might not be able to come across as humble. To test your candidates for this essential customer service skill, ask them questions that test their humility. For example, ask them what they’d do if a customer requested a feature or favor that can’t be provided. Or, ask them how they would admit to a customer that they made a mistake or missed a detail from their issue. Their answers will tell you if they can be or are humble. A customer service professional uses a number of tech solutions on a daily basis. These include software for chat and email support, VOIP services for phone support, tools like helpdesk systems and more. Sometimes, you might need your support staff employees to have prior knowledge of a certain tool. Tech-savvy applicants can quickly pick up how all such tools work and learn new technologies with ease. That’s why candidates with a technical aptitude make good support hires. To test your candidates for this essential customer service skill, design a custom screening test around the tools/required technical know-how you’ll need them to have to excel at their jobs. Patience is one of the most important characteristics of customer service employees. Only a patient customer service representative can give each client the time they need for their issue resolution (without compromising on the quality of support). Candidates who score poorly on this trait can lose their cool or dilute their quality of support especially for customers or tickets that take more time to resolve. It doesn’t matter whether you’re interviewing candidates for a chat, email, or phone support role, good listening is an indispensable skill. A customer service professional needs to really listen (or read) to understand a user’s real question as not all users are skilled at explaining their issues. ‘Active’ listening means trying to do more than just hearing (or reading) to understand what someone is trying to put across. In the customer support context, this means understanding a customer’s actual issue. Candidates who are good listeners get this naturally. And because they understand the problem well, they generally offer better and faster resolutions. To test your candidates for this essential customer service skill, make them listen to a few customer support phone calls or read a few emails and then ask them to paraphrase the customer’s issue — for instance, explain why the customer called or emailed and what is it that they’re looking to get resolved. To be a quality customer service professional, a person doesn’t just need to know a product inside-out, but they also need to stay on top of the latest services or features being developed. Not just that, offering support also needs a service resource to stay on top of the latest industry happenings. For example, when GDPR rolled out, customer service teams in various industries routinely got queries from existing and potential clients about the GDPR compliance of their companies, and so on. So, it’s very important for customer service professionals to keep learning. Candidates that have a ‘learning’ attitude are always in the learning mode. They pick up the tools and processes faster than those who don’t prioritize learning. Ask your candidates questions like, “What are the things/tools/languages/skills that you’re learning just now?” Or, “If you’re using a technology or product for the first time, how do you typically prepare for it?” You can also ask them about how they remain updated on the latest industry happenings. Being detail-oriented is a highly desirable work skill for a customer service employee as paying attention to details reduces a lot of rework or repetitive correspondence with the client. Candidates who pay attention to the details learn everything they can from the client’s message and ask only for the information that’s needed and not already present with the company. This way, the clients don’t have to suffer the frustrating experiences or giving the same information over and over. Did you ever find errors in your work? What was the cause for it? What steps did you take to correct them? Give me an example of an episode when your attention to detail was particularly useful to your company. Please share a situation where you had the option to take care of the details yourself or to leave the details to other team members. What was your experience? You can also design a customized screening test to score a candidate’s level of attentiveness. While there are many studies that have found that multitasking is actually being less-productive, but the fact remains that customer support professionals have to do a good deal of multitasking each day. In context to the customer service department, multitasking simply means staying organized, setting priorities, and managing your time. Candidates to whom multitasking comes naturally make great customer support employees. On a more granular level, multitasking also means speaking to a customer over the phone while pulling up their details on the system and finding the right solution to their problem. To test your candidates for this indispensable customer service characteristic, test them on their organization, prioritization, and time management skills. Also, get them to play some multitasking games to test their multitasking skills in real time. Time management is another of the key characteristics of customer service employees who are excellent at their jobs. When hiring customer service professionals, look for candidates who are good at time management planning and use their time much more responsibly than those who work in ad hoc ways. Candidates who manage their time well don’t just respond to all the tickets on their list, but also allocate time to their other job duties like reporting on their performance, producing documentation, surveying customers, and so on. A customer service professional has to constantly juggle between a bunch of urgent and non-urgent support requests. For example, if you’re a hosting provider and your client’s website is down, then that’s an urgent request. On the other hand, if a client is figuring out how to add an SSL certificate, that’s a comparatively non-urgent support ticket. Candidates who can prioritize well understand how bad a client’s situation is and based on their understanding, they can plan their response. Customer support queries are rarely addressed in the order in which they arrive — making prioritizing a critical skill. Above everything else, a customer service professional must maintain a positive attitude. Candidates who come with a positive attitude are always optimistic and respectful in their interactions with customers. To assess your candidates on this personality trait, design a few custom attitude assessment screening tests focused on finding if a candidate has a positive attitude. Being organized should be one of the core characteristics of customer service executives. Without proper organizational skills, all the other skills on this list won’t matter much. Organized candidates know what to do when they get a ticket. They’ll read its content and know where and how to find the best answer. In most cases, they’ll also create a documented process or a personal checklist to use when taking up a new ticket. Ask your candidates questions about their approach or process to solve a ticket, how they keep track of their work (tickets), and what they would do if they notice a lot of rework needed on each ticket. Above everything else, great customer service is all about great communication. This makes advanced communications a core characteristic to look for in your customer service role candidates. Candidates who have good communication skills can always respond in an effective and personal manner, no matter what a customer contacts them about. Do your candidates have this skill? Ask them to write a response to a complaint from a customer. Or, ask them to write an email response that links the user to the solution present in one of your knowledge base articles. Getting negative feedback from customers, figuring out complex queries, and handling a long stream of support tickets each day is stressful. The very nature of the job of a customer service representative makes stress management a crucial skill for the candidates. Unless a person is really good at stress management, they’ll likely succumb to the job stress. As a result, the level of support, the degree of empathy, and the overall quality of support will become poor, not to mention the risk of high turnover. Many customer support agents simply ‘handle’ support tickets by focusing more on the logistics side of the things. Their focus isn’t as much on tracking a ticket to closure as it should be. The problem is the sense of lack of responsibility for these matters. Without a sense of responsibility, a customer service professional might not really feel like they ‘own’ an issue that needs a quick, correct, and complete redressal. But candidates who come with the soft skill of being responsible feel accountable for the tickets they’re assigned and work toward actively tracking them to a closure. In general, a responsible support associate will be a good listener as well. If you agree with a statement or feel that it is true about you, answer “true”. If you disagree with a statement or feel that it is not true about you, answer “false”. I always try to do at least a little better than what is expected of me. If I get too much change in a shop, I always give it back. It is alright to get around the law if you don’t actually break it. 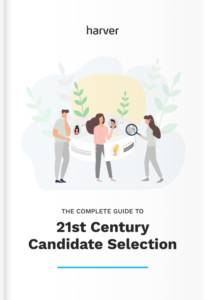 A candidate who responds with ‘true’ for the first two questions and ‘false’ for the last two will likely turn out to be a responsible candidate. If there’s one thing that a customer service professional is expected to do all day long, then it’s solving queries of the customers. That’s why problem-solving is among absolute must-have characteristics of customer service employees who excel at their job. And that’s what you want, isn’t it? Essentially, problem-solving involves understanding the problem, coming up with potential solutions, zeroing in on the best possible solution, and then doing what needs to be done or implementing the solution. Some candidates are naturally good at problem-solving, while some candidates can easily learn it. It doesn’t matter how your candidates acquire this skill; what matters is that they have it. Describe a time you had to solve a problem without managerial input. How did you do it and what was the result? How do you know when to solve a problem on your own or to ask for help? Complex problem solving is a top skill in the contemporary and future job markets. Although the number of tickets your customer service employees will handle depends on the size of your customer base and your daily ticket volume, but there will be multiple tickets for sure. In addition to handling the fresh customer support tickets, your support agents also need to follow up or ‘touch’ upon the existing/open tickets. This makes speed a critical customer service skill to look for as you’ll want your customer support resources to be fast enough to quickly swift through all the tickets while also offering a quality resolution. Get your applicants to take a simple typing test. Many companies test their support professionals for their typing speeds as their typing speeds directly influence their capacity to offer speedy support. This customer support skill is even more important for chat agents as the conversation happens in real-time. In addition to taking a typing test, also test your candidates for how quickly they can browse through your documentation and knowledge bases to answer a query. Finally, sum up how much time a candidate takes to make the final response. No matter what level of product documentation, FAQs, or knowledge bases you maintain, there are always times when a customer support person has to ‘ask’ the fellow teammates for answers to specific user queries. Lots of times, support agents also have to transfer the tickets to the right people on the team (while still tracking it to closure). Being a team player is a very useful quality for all these situations as team players are easy to work with and can handle such collaboration effortlessly. Mention in your job ad that you are looking for a team player. Include a part in the application form in which the candidate needs to illustrate with at least one example of how they added value to the company by being a good team player. Negative feedback from complaining customers is a part of the job of a customer service representative. So when hiring for a support role, you need people who can take negative criticism well. Candidates who are good at taking negative criticism maintain grace even when talking to the angriest and most disrespectful customers in the worst scenarios. You can test your candidates for this characteristic in an interview. Just give them some negative feedback on their educational background or resume or work history, and see how they respond. In addition to these, you can also design a custom screening test to assess how your candidates take negative criticism based on real life situations. The role of a customer service professional is quite a flexible one. Sometimes you might need your email support resource to pick up the chat or the phone channel. This makes adaptability an important quality to look for when hiring a support resource. Empathy is one of the core qualities to look for when hiring someone for a customer service role. As a powerful personality trait, empathy helps a person understand others and their situations at a much deeper level. Candidates who are empathetic can quite naturally feel the frustrations of the customers and keep that mind when responding to them. Ask your candidates a bunch of scenario-based questions. Next, ask them to write down or record their responses. That way, you’ll spot the candidates who don’t just empathize with the client but can also bring that out in their responses. In addition to looking for all these key characteristics of customer service employees in your candidates, you’ll also need to evaluate them on how well they work with your product. But that can only happen after you get them onboard and show them how your product works. This product knowledge is something they can develop (and keep learning) as they start working with you. Also, don’t expect all the candidates that you consider for your customer service roles to have all these characteristics. It’s just not possible. Instead of looking for customer service candidates that excel in all of these, look for candidates that have the spark and the willingness to learn or acquire them. That said, use plenty of screening tests or interviews to filter out the candidates who have very poor soft skills (like bad time management, poor work ethics, or unprofessional communication styles) as they’ll most likely turn out to be bad support staff. Hiring the right people for your customer service will not only help you reduce turnover rate, but also boost your business operations and bring your company to the next level.